Welcome to the 67th installment of our Samsung Galaxy Note 3 Troubleshooting series. In this post, I addressed 12 problems that occurred after the lollipop update. We’ve been bombarded with hundreds of questions from our readers and we cannot answer all of them in a day, so we publish posts like this. We are serious in providing assistance especially to our readers and we will never get tired of doing this. So, feel free to send your concerns via email ([email protected]) or post our social network pages (Facebook and Google+). What we offer is a free service or support but we ask you to provide all necessary details about your problems and your phone. Emails that contain vague questions may not be answered. 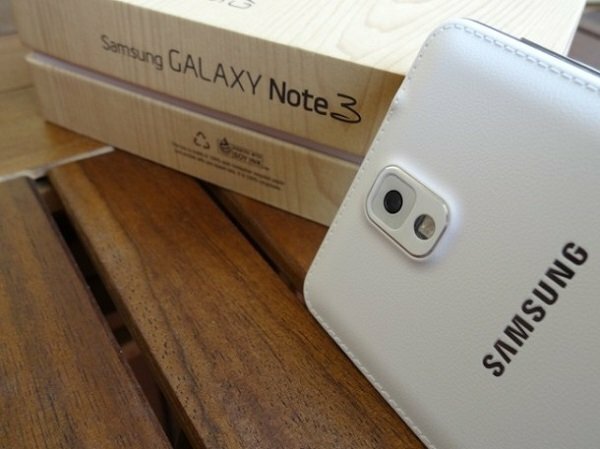 If you have problems with your Samsung Galaxy Note 3 after the lollipop update, continue reading as I may have addressed them in this post. Troubleshooting: Hi Stacie and Jessy! There’s no guarantee everything will go smoothly and I feel sorry you have to experience all the hassles. But don’t worry, if the update process failed the first time you attempted it, then there must be something that hindered it. The most common reason is the lack of storage space in your phone’s internal storage. You may have enough space in your SD card but that’s not where Android will download the new firmware package. To be sure the process won’t be interrupted the next time you download it, there must be at least 3GB of space left in the phones memory. It means, you will have to transfer your pictures, videos or any other files saved in the phone’s memory to your microSD card or download them to your computer to make space. If it were the apps that occupy the space, you have to uninstall some of them and clear their data to make way for the new firmware. After you made space in your phone’s internal storage, initiate the update process again via Settings. If the phone can’t find the new firmware because you already attempted to download it, then clear the cache and data of the Download Manager service to delete all traces of the new firmware in the system and then try again. Scroll down to Device manager section and tap Application manager. Scroll down to find Download Manager. Tap the Clear Data button, then OK. Problem: Good morning, my husband and I have the note 3 and we both updated our phones yesterday. Mine works like a charm but, his is another story. He gets notifications and can’t see them. A prime example, someone calls – his phone rings but, the phone screen with the caller ID doesn’t pop up. It also says “system UI unavailable” and pull down screen with the wifi toggles and such doesn’t pull down anymore. Anyway to fix this? Kindest Regards, Kiah. Related Problem: Hi guys. First off, I want to thank you for everything you’re doing for us users. I’ve been following your blog since I encountered a problem with my Note 3 last year. Now, I have another problem that I don’t know how to fix and I don’t think you’ve already addressed this. After I updated to Android 5 Lollipop, my phone automatically rebooted. The reboot was successful and by the time I was about to use my phone and open my email, the error message “Unfortunately, System UI has stopped” popped up. Then, the phone would just freeze for several minutes. By the time it started to act ok and when I try to use it again, the error message reappears. Basically, I can’t do a thing with it and I really don’t know how to fix it. Please help me. Thank you, Julie. Troubleshooting: Hi Kiah and Julie! Apparently, the update caused this problem and it didn’t just happen with lollipop, it also occurred when Note 3 transitioned from Jelly Bean to Kitkat. But basically, the problem is that the new system may still be using data built by the previous system and since it’s already obsolete, there will be errors. The solution is to clear obsolete data and caches–full hard reset! But before you actually do that, try to boot the phone in safe mode and backup all your important data especially ones that were saved in your phone’s internal storage because they will all be deleted. When ‘GALAXY Note 3′ appears on the screen, release the Power Immediately after releasing the Power key, press and hold the Volume down key. Tap Backup and reset and choose Factory data reset. At the bottom of the screen, touch the button Reset device. Choose Erase everything. Once all data and settings on the Note 3 have been deleted, the phone will reset and then reboot. Problem: The blue notification light flashes when the screen is off even though the box for this option is unchecked. I’ve tried checking and unchecking the box, but it still flashes when I receive a new notification during the off screen. I want to turn this off, but can’t. Suggestions? Troubleshooting: If there is any light manager app installed in the device or anything at all that could manipulate the LED, then it must be uninstalled before you troubleshoot the problem. After all, you can reinstall it whenever you want to as long as you know what the problem really is. Once in safe mode, observe closely if the LED still flashes. If so, then the problem is with the firmware, otherwise, you will have to look into your apps one-by-one to know which one causes the problem. Now, the issue was firmware-related, then there’s no other option but to hard reset your phone. Of course, you will have to backup all your data before you do that as they will all be deleted. Problem: Phone is Galaxy Note 3. Android Version is 4.3 (won’t update). So I just got a Galaxy Note 3 from the internet today and when I turned it on the phone was in easy mode. When I turned the easy mode setting off, the phone was still stuck in easy mode. I went under ->Settings to the application manager under -> All to clear all defaults like I’ve been reading and nothing happened. When I went under -> All in the -> Application Manager setting, Touchwiz Easy was the only launcher. I looked for home screen, launcher, touchwiz, etc (in case it had a different name). So basically, touchwiz isn’t installed on my device? When I downloaded another launcher and it asked me which launcher I wanted to set as default, the only options I had were the touchwiz easy and the launcher I just installed. Is there a way to fix this myself or would I have to take it in? Troubleshooting: It could have been very helpful if you included the model number of this device and what you country you are in. In the U.S., Android 4.4 has long been rolled out in preparation for Android 5. If this phone is carrier-branded, it must follow the trail of updates to be able to download and install the latest firmware. In your case, we don’t know if the phone is rooted or running a custom firmware but the best thing to do to get the device out of Easy Mode is to hard reset it. I understand you just got the phone so I assume you haven’t stored data or files in it yet so there’s nothing to lose. Problem: Hi I need some help with my Note 3. It started today, all of a sudden it wouldn’t auto rotate. I removed battery and Sim card then restart. Still not working, however now it also won’t let me use the main button, at all. Menu button and back arrow work. What can I do, if anything? Thanks for your time! Pull the battery out while the phone is on. Press and hold the Power key for a minute. Place the battery back in and turn the phone on. However, if liquid or physical damage caused this problem, find the nearest service center and have a professional take a look at it because we don’t know the extent of the problem. About the auto rotate issue, first of all, make sure the feature is enabled. Then, open an app that supports auto-rotate like the stock browser. Remember, there are apps that don’t support auto rotate. It would also be logical if you performed hard reset especially if these problems remained after doing some troubleshooting. Problem: Hello. I’ve updated 2 Galaxy Note 3’s (AT&T) to Lollipop couple weeks ago and when I put the phone to my ear, it does not black out so its inconvenient when I put the call on mute or end call and mess with other functions/settings. Both 2 phones do the same thing. It’s as if the proximity sensor isn’t working at all. Any viable solutions? First off, remove the case if the phone has one. Clean the entire screen of the phone to make sure dirt isn’t the cause of this. If you have an air spray can, give the earpiece a blast to get rid of the dirt inside that may also block the proximity sensor. Or, you can simply blow hard enough several times. There were cases that the screen protector obscured the proximity sensor, it would also be wise to take it off. If all these failed, then bring the phone to the nearest service center and have a technician take a look at it. Troubleshooting: Once installed, there’s no way for average users to uninstall the firmware to downgrade it to the previous version. In Android, the word “update” means deleting all remnants of the previous version while installing new files for the new firmware. The best way to go back to the previous version is to root your phone and manually install the previous version. This, of course, is risky and will surely void your warranty. I am not sure if service providers will downgrade the firmware if their customer asked them to, but it’s worth a try. Problem: Hi there, I hope you can help. I am going nuts since the Android 5.0 Lollipop update to my ATT Galaxy Note 3. The phone is connected via Bluetooth to my 2015 Subaru outback. Now while driving and listening to audio books, etc. from my phone over my car sound system, the car starts getting alerts about incoming email (not gmail), literally dozens of messages at one time (mostly spam). It takes tens of minutes for this to occur after starting a trip, but it keeps happening. I have done everything I can to stop this. It is going to cause an accident. The only thing that eventual y works is turning off Bluetooth at the phone. Neither muting nor turning off the stereo on the car works, as it treats it as an alert. I do not even check email on that particular email account. There is no disable alerts under email under sounds and notifications/application notifications, only set as priority. It’s a bit extreme but delete the account you’re having problems with. Or, you can just set the syncing frequency so emails will come in when you’re at home or when you’re not driving. Lastly, change the notification for that specific account. Go to Email > tap Menu > Settings > Manage accounts > Email notifications > Vibrate. Problem: Hi, my phone was in contact with water (without me knowing) and powered off on its own. Put it in rice, and it wouldn’t power on. Tried disassembling and cleaning with isopropyl alcohol and it DID power on, but there are still bugs. The phone will not hold a charge – it maxes out at 23% and then just continues to die (sometimes won’t charge at all). The phone is also constantly making a static noise like the speaker is blown. Cannot send or receive phone calls. All other features – text, internet, apps, camera – are fully functioning. I just got the phone less than 6 months ago and it was in mint condition, so if I can just purchase new parts and use those to fix it, I’d like to do that. If it’s beyond repair, then it is what it is. Any help would be appreciated. Thanks! Regards, Natalie. Suggestion: There’s no way for us to know the extent of the liquid damage but in your case, it seems it totally messed up your phone. Your lucky the phone still powers on so there’s a chance it can be fixed. However, you said it refuses to charge, that’s one indication that the charging IC is busted, which is expected for phones that have been in contact with liquid. All these behaviors you mentioned are typical of liquid damage. While there’s no guarantee the phone will be repaired back to normal, I would still suggest you have a technician take a look at it. Blowing hot air over phone components often helps but never a guarantee. Troubleshooting: This problem only occurs when the microSD card can’t be detected by the phone or was un-mounted. Of course, the apps that were greyed out are ones that were saved or moved to the SD card. Their icons turned grey to indicate they were once installed but can never be opened because all necessary data cannot be accessed. To fix this problem, just make sure the microSD card is mounted or still readable. If it happens that the card is already damaged, there’s no way you can save the data of these apps. Instead, you need to download and reinstall them to your phone’s internal storage. Open your phone and dial this like you’re making a call *#9090# if still not working try this one *#197328640#. Tap Menu, and select key input, enter Q. Tap Menu again and select key input and enter 0000. The next Menu will pop up after a few minutes. After all those steps you can restart your device and wait for a minute to finish the process. If this procedure also failed, then perform full hard reset of the device. I’m considering updating to Android 5.1, if that doesn’t fix the GPS, then I’ll do a factory reset…if that doesn’t work, I’ll do a hard reset -am I correct- that will hopefully downgrade the phone to Android 4.4 or 4.3 (pardon me but I’m new at this kind of thing and may be uninformed about my assumption). Your expert advice is highly sought after, thanks. I don’t understand what this list means. Or is it trying to say that “after reset dyn & static fixed will be cleared”? Can you please explain to me? Thanks. dear have you got any solution ???? Have u found any solution? ?? Have u fixed ur problem,please??? Finally i thought i was the only one do any of you know any other solutions other then a full reset? My phone was working fine on the Lollipop update, but then I powered it off and when I turned it on again, half of my apps were gone, another 20% were greyed out, and my widgets were all but gone. Problem popups with the text ‘sorry, _______ has stopped working’ pop up at rates faster than I can close them, and the whole ordeal is driving me mad. And it can’t just be an SD card issue either, since my music, which is all in my SD card, still works perfectly. It’s going to take me four hours to rearrange my apps meticulously as I had done previously, and I’m unwilling. Is there anything short of a factory reset that can solve this issue? After upgrading to Lollipop, the phone typically overheats and has a shorter battery life. A new problem is syncing to MX Outlook. (Microsoft exchange). The phone syncs to outlook but outlook won’t sync to phone. What should I do. SAME. Did you find any solution to it? Since the recent upgrade to Android 5.0, I have been having trouble with my Bluetooth. I primarily use a Plantronics Voyager Pro HD with my Samsung Galaxy Note 3. Since the upgrade, my Bluetooth seems to drop the sound from the calling party to my Bluetooth during a call. If I press the Headset button, as if I were disconnecting the Bluetooth during the call and press it again I can hear the calling party again. I have tried deleting the profile from the phone and re-pairing several times but to no avail. I have also tried other Bluetooth headsets and the problem persists. Can you help? Hi I need some help with my Note 3. It started today, menu, home and back button arrow work. I removed battery and then restart. Still not working. What can I do, if anything? Since the update I cant do everything with my calendar anymore. I use to be able to color coat it, reminders, and if it can be repeated. It only allows me to put info and date and start time. Also i cant zoom my pictures anymore. I want to know how to fix this problem. I installed lollipop 5.0 on my Note 3 and am having trouble with Bluetooth staying connected with my truck. while listening to music or using my phone, it will start and stop constantly. My phone doesn’t display anything on the screen about losing connection. The second problem I am having is whenever I go online just using my phone I immediately get a notification ” Unfortunately, Internet has stopped.” Although when I use my mobile hotspot and connect my laptop i do not loose connection and am able to stay online. i have wiped the cache partition and still have the same issues. i really liked my phone before the update. Not the case now. since the lollipop update on my note 3 my keys freeze when typing a text, then, when I send it it just keeps spinning and does not go through to who I’m texting it to. help, I hate the new update, how do i fix this!